Between the years of 1942 and 1947, the Swedish army started a number of tank projects in an attempt to keep up with the tank development of the greater powers during ww2. This article will be dedicated to the development of Swedish medium tanks during this period and address some inaccuracies from part 25 of this series of articles. Be aware however that this article is both longer and goes into more technical detail than usual. With that said I hope you enjoy the article and feel free to leave your questions in the comment section. During the development of the Strv m/42, a number of concessions had to be made to get it into production as soon as possible. it had started off as an 18-ton tank design known as the Lago, which Landsverk had been working on for Hungary. But the Swedish army was not satisfied with the design and requested changes to the armor and engines as well as a larger turret armed with a 75mm gun. However, as part of the requirements for the strv m/42 a strict weight limit of 22 tons had been imposed as to not compromise the tank’s strategic mobility. As a result, the tracks could not be made wider which limited the tanks mobility. The armor also had to be reduced compared to the thickness requested.In short a lack of experience with tank designs over 12 tons and a rushed development, combined with a strict weight limit of 22 tons had resulted in a tank which was not competitive with other medium tanks of its time. In fact, even before the start of production, the Armor committee in charge of the Strv m/42’s development had been heavily criticised for the acquisition of an “outdated design” by both the Industry commission and by Finish armor experts. In October of 1942 before Strv m/42 production began KAFT (Swedish army materiel administration) started researching what would be needed for a successor to the Strv m/42. Intel on foreign designs was reviewed and requests were made for sending tank engineers to study captured T34’s in Finland. The head of the army was contacted about raising the weight limit over 22 tons, which was declined for now. In February 1943 discussions continued and it was agreed that a future medium tank should weigh about 25 ton, make use of “streamlined” armor and be armed with a 75mm gun with a muzzle velocity of at least 800m/s. During further discussions, It was agreed that something needed to be done to improve the efficiency of tank production. As many components as possible would be standardised across the different tank types. And efforts would also be made to cut down on the machining of the armor plates. It was also noted that a new gearbox and engine suitable for a future tank in the range of 22 to 28 tons was in development at Volvo. On July 19th Landsverk submitted three conceptual medium tank drawings based on the previously discussed information. The drawings showed a reworked Strv m/42 hull with sloped frontal armor and a new turret. Two of the three drawings also depicted a longer 75mm gun later specified as the 75mm Lvkan m/30 anti-aircraft gun. There was also some clear inspiration taken from complaints of lacking antiaircraft armament for the Strv m/42 as two of the three designs featured a turret-mounted 40mm autocannon. Curiously one of the drawings also depicted a hull mounted gun much like the French Char B1. While these drawings were mostly meant as discussion pieces they did address quite a few of the suggestions made by KAFT. In September Bofors under orders from KAFT started working on a new turret for the Strv m/42 and Strv m/41. It had been specified that the turret had to be no heavier than the current one as to not sacrifice armor protection. It was also requested that the gun be equipped with an autoloading mechanism and be more potent than the current 75mm Strvkan m/41. The first drawings for the new turret were submitted for KAFT approval On the 22nd of March 1944. This turret featured the newly developed 75mm Pvkan m/43 gun mounted outside the enclosed part of the turret. Essentially the gun sat in a sort of cradle in the middle surrounded by the commander and gunners position on the right and the loader’s position on the left. Due to the strange configuration, this new turret was nicknamed “delat torn” (Divided turret). The autoloading gun was fed by a five round magazine which would be fed by the loader. The gun had an estimated mechanical rate of fire of 20 rounds per minute and In total, the tank carried 42 rounds of ammunition. KAFT’s general response to the design was positive, however, it was clear that the 22-ton weight limit would not be kept. And a letter along the lines of “considering foreign developments we can not afford to stop our tank development because of a weight limit” was sent to the head of the army. In April 1944 the weight limit for tanks was raised to 30 tons. The possibility of a 30-ton tank had briefly been discussed before, but in June 1944 Landsverk came up with a serious proposal for a 30-ton tank which they named Pricken. The Pricken was a further development of the Strv m/42 which featured a wider hull with better-sloped armor. The hull armor was also thicker, though only the 70mm frontal armor and 20mm hull floor armor was specified since the tank was early in development. Trough the use of Volvo’s new engine and gearbox a sustained top speed of 50kph was estimated. The suspension was also reworked with wider tracks, larger roadwheels and a new drivewheel. By this time a wooden mock-up of the “delat torn” had been finished and mounted on a Strv m/42 chassis. A functional prototype with some minor changes had also been ordered by KAFT. However, with an estimated delivery time of spring 1945 for the “delat torn” prototype, a number of less extensive solutions had also been discussed. Research had been done into extending the 75mm Strvkan m/41 gun to L/40 or L/50 calibre length. However, it was estimated that this would only give a small increase in the muzzle velocity and cause problems with the stabilisation of the gun. Work had also been done on improving the gun powder composition used in the ammunition, though the results only showed a marginal improvement. It had also been suggested to fit the 75mm Pvkan m/43 gun in the existing m/42 turret, however, this would require the removal of the rear of the turret and was therefore seen as “unfavourable”. By the end of 1944, KAFT was pursuing two lines of development in addition to continued improvements of the Strv m/42. The first of which was the Lago V, essentially a Strv m/42 with a sloped front. A mock-up of this vehicle was finished in late 1944. But it suffered from poor vision for the driver. The 2nd, 30-ton tank project had been going better. The first drawings for the tank had been drawn up in late 1944 by Landsverk and KAFT held another meeting discussing the project on December 21. In early 1945 the development of the “delat torn” intended to arm the new tanks was starting to show problems. The work on the prototype turret was slow and the originally intended delivery date could not be kept. In fact, the prototype turret would not be ready for another year. With the news of the “delat torn” being delayed and the increasing firepower of foreign designs KAFT was starting to doubt the armament. And in April 1945 it was discussed to increase the armament of the 30 ton to a long barreled 105mm gun. This question would remain unresolved until February 1946 when the armor committee met to discuss the official requirements for the 30-ton tank. These requirements painted a much different picture to what had been previously discussed. All aspects of the design were to be improved. In terms of armament 105 mm gun with an 850 m/s muzzle velocity was seriously considered. The armor would be thicker and better sloped than that of the strv m/42, and the possibility of using a cast turret was discussed. The tanks profile would be lowered and flat parts of the armor would be made dual layered if possible. The mobility requirements were set very high with an upper ground pressure limit of 0,60 kg/cm^2. Smoke launchers of the type recently trialled on the strv m/42 would also be fitted. On May 16 the “delat torn” prototype was finished and demonstrated for army personnel. A test firing was conducted without issue and the loading mechanism was deemed ready. A number of minor faults were noted however. In particular, the mechanism for elevating the gun was exposed so it was suggested to add an internal mantlet. Plates would also be mounted to help protect the exposed loading mechanism. During further testing in August, more faults became apparent. There were problems with aiming system and the autoloader would sometimes seize up. But at least the best performance of the autoloader was determined as 4 rounds in 8,2 seconds. Later that month Landsverk would produce a preliminary price chart for a Stridsvagn m/46. Essentially this was the planned army designation for the Pricken. Interestingly two versions were offered, one with a total weight of 25 tons, and one with the original 30-ton weight. A few more details were specified like that a 500-600hp engine was planned and that the gun would have a muzzle velocity of 1200m/s (likely 75mm). Both a 25 and a 30 ton TD version on the same chassis was offered as well. By 1947 the Swedish army was seriously considering the development of Landsverk’s proposed 30-ton tank destroyer, which was codenamed TLP 46. Meetings were held in February to discuss the guidelines for its development. The meeting started with a historical overview of the project and a briefing on data gathered from CKD during a visit by a Swedish army delegation in 1946. During their visit they got the chance to speak with Alexis Surin who was the head engineer of CKD at the time. The result was a lot of valuable information and a proposal for the characteristics a modern 30-ton tank. Based on the Czech proposal an angle of 30dg was chosen for the frontal armor. The use of torsion bar suspension was also questioned since it raised the overall height of the vehicle. It was noted that a rear mounted transmission would be preferred on tanks over 25 tons, mainly because the frontal armor can be given a better shape. Perhaps the biggest requirement was that the chassis had to be able to be used for a tank in the 25-30 ton range. Landsverk immediately started working on drawings for the TLP 46. There were a number of engineer notes experimenting with interleaved suspension and the rear mounted transmission. A sketch was also made of the Stridsvagn m/46 showing a cast turret and rear mounted transmission on a Strv m/42 like hull. The development of the TLP would be shortlived however as the army cancelled development of vehicles of all vehicles over 30 tons in May 1947. In June 1947 The “delat torn” prototype was used in troop trials at the armor school. The evaluation of the turret described it as using surprisingly primitive design. The commander’s cupola had only 4 viewports and the loader was not even connected to the internal radio system, he also lacked the optics to efficiently use the machineguns. The loader’s position was such that he was constantly standing in an awkward position where he had a hard time keeping up with the turrets rotation. It was also found that during firing of the main gun the cloud of dust created would make it impossible to observe where the round had impacted. The dust would also stick to the exposed elevation gearing and loading mechanism. The heavier turret had however not impacted the mobility of the Strv m/42. The trials were discontinued in August 1948. Though the Delat torn turret turned out to be a flawed design there was no technical reason why its development was discontinued. A number of suggestions were made on how to improve the design, and it would, in fact, be brought up again in 1954 as an alternative for re-arming the strv m/42. The project seems to have been discontinued mostly due to lacking interest and cooperation between Bofors and Landsverk.The 30-ton tank project never really entered full out development, though a number of drawings were made during the 1943-47 period. Ultimately the design was doomed from lacking capacity from landsverk due to a focus on fixing the issues of the Strv m/42 and constantly changing requirements. However, the idea of a Swedish 30-ton tank would briefly resurface as in September 1948 the Pricken was listed as one of the many new Landsverk export designs, though that is a story for next time. Quite looking forwards to these. Most of the books on tanks I read in my youth would reference Swedish AFVs but they weren’t used in combat. Rita has been notified… i should have caught that in editing though, oh well. Did not know there was cooperation between Swedes and Czechs, was this common or just one time thing? There was some cooperation before and during the war. Sweden purchased the AH-IV tankette and licence produced the TNH-SV (pz38(t)) with some monor changes during ww2. 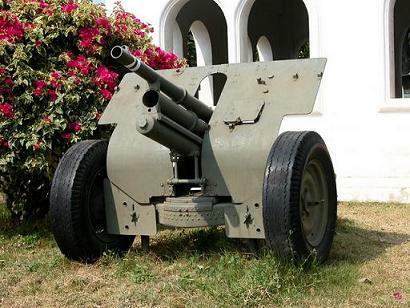 SP15 what can you tell me about short-barreled Bofors 75 mm L/12-4.b/300/? Nothing to be honest, i had never heard of it before. As far as i know it was very light (~95kg) and short (870mm) gun. It was choosen as a main armament of final version of Polish “B.B.T.Br.Panc.” tank (co-axial with the 40 mm automatic Bofors). I didn’t find any information, mayby name is wrong? Do you know something similar to gun i described? Maybe it was a 75mm L/12 from Bofors Combo 47mm/75mm for Siam forces. 1934 ordered Siam (Thailand) 32 pcs quite remarkable guns, they each had two barrels. A short 75 mm L / 12 and 47 mm L / 33rd They were delivered in 1935. At least one piece is preserved. SP15 Maybe You can tell us more about that Siam combo with two barrels? IMO the 75mm L/12 from this unusual combo is the one with was supposed to be used in final variant of 23 tonnes BBTBP tank.